New York, May 3 (IANS) US President Donald Trump’s nominee to head the Central Intelligence Agency (CIA), Gina Haspel, helped Mother Teresa get food aid to a region facing shortages, according to a media report. While Haspel was on her first overseas assignment in the 1980s, Teresa approached her and “sought to speak to President Ronald Reagan about wheat shortages in a country that remains classified,” according to a Wall Street Journal story re-circulated by the White House. The Journal reported that according to “people familiar with Haspel’s career,” she was on weekend duty when Teresa contacted her and Haspel “invited her in, and the State Department arranged the phone call, leading Mother Teresa to invite Ms. Haspel to the local orphanage”. While the country where it happened remains classified, it may have been Sudan – or what is now South Sudan – going by other news stories in Italian media, which do not mention Haspel but recount Reagan sending aid to that country due to Teresa’s intervention. Haspel served in the clandestine – or undercover – service of the CIA and most of her work, including where she worked, is classified. 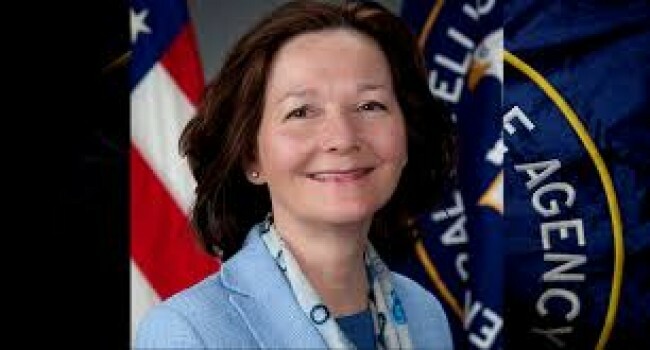 Recently the CIA has declassified a limited amount of information about her and made further details available to some media in an effort to refurbish her image and counter criticism over her role in destroying video records of alleged waterboarding of terror suspects. Haspel, who is the deputy director of the CIA, needs Senate confirmation for her new job. “She traveled the region, learned to recruit and handle agents, and survived a coup d’etat along the way,” the CIA bio said. When the fight against al-Qaeda was heating up, Haspel asked for a transfer to CIA’s Counter Terrorism Center (CTC) and she started the job on 9/11, the day of the terrorist attacks on the US on Sept. 11, 2001, the CIA said. She held a series of senior jobs, including the station chief “in the capital of a major US ally, and Deputy Director of the National Clandestine Service,” it said. While where Haspel helped Teresa to get aid from Reagan is officially classified, Italy24 said that Teresa had sought the president’s help for Juba, then a part of Sudan and now the capital of South Sudan. The website said that according to Stephan De Mistura, who worked in Sudan’s capital Khartoum in 1986 for the World Food Programme, they could not fly food aid to Juba because it was under siege by rebels. He is quoted as saying that Teresa contacted Reagan at the White House and he called her back at the US embassy. “The two spoke cordially and, in the end, the nun (now Saint) informed the diplomat: ‘He told me that he agrees with me, that he will put pressure on the Sudanese President to have the plane take off (with food for Juba). However, the President is, unfortunately, already on his way to New York, to the United Nations, but he will send a man by the name of George Bush to contact him at the United Nations,'” Italy24 said. De Mistura is now UN Secretary-General Antonio Guterres’s Special Envoy for Syria.